Enjoy working together on this family project to get to know your heritage and be ready to share with the class. Coming soon will be the directions for a second family project creating a family shield to express the specialness of your unique family. We are beginning a unit on Immigration. Your child will participate in a variety of activities that will enable them to learn about and better understand our ancestors' journeys from various homelands around the world through Ellis Island and other cities. We will be reading several books about immigration, including If Your Name was Changed at Ellis Island. In order for the students to gain a better understanding of family histories, we will have an heirloom share - something to share about your child's heritage. We will send home more information about this activity soon. The children would also like to hear about your families' immigration stories. We welcome guest speakers that have come here from other countries. Please contact me if you, a relative, or a friend would like to come in to share a personal immigration story with our class. 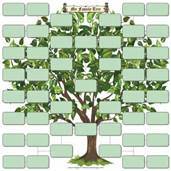 During our study, the children will be bringing home a Family Tree and Family Shield to complete. There will be directions attached to the projects. These projects will require your help! As a culminating activity, we will be participating in Ellis Island Day. This will take place on Thursday, April 17th. Each child will need to select one nation of ancestry for that day. They will come dressed as immigrants from that country and go through a mock Ellis Island immigration process. We will need volunteers to help us on that day. More information will be coming as Ellis Island Day nears. Thank you so much in advance for all of your help and cooperation!